Happy Friday! You know what that means. 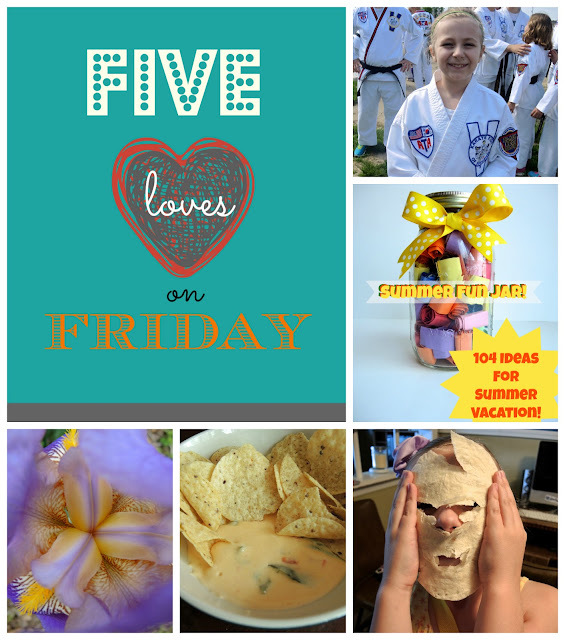 It's time for Five Loves! 1. Little One was in our city's parade! 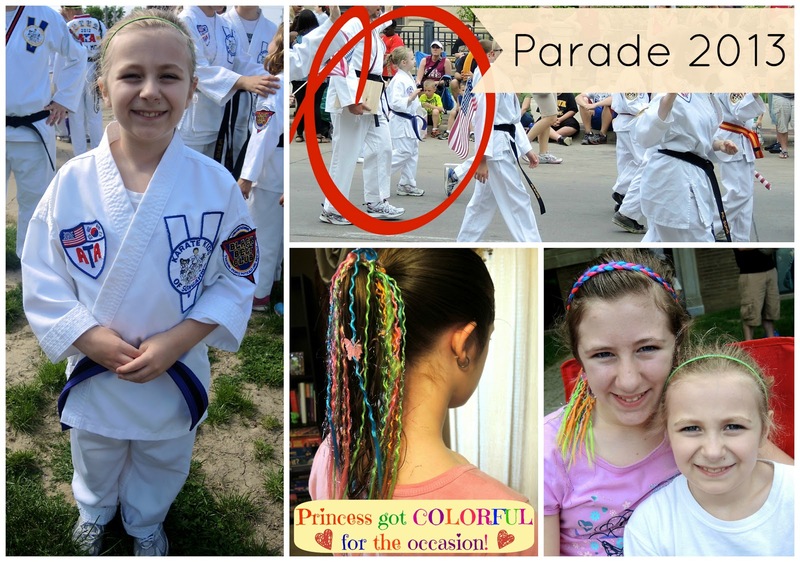 She walked with her taekwondo school. They were #29 of 100 groups in the parade which actually allowed her to come back and sit with us for a bit. She had the best of both worlds! She was in the parade and waved an American flag curbside while catching goodies from floats as they passed by! It was a super fun morning for all of us! 2. SUMMER! 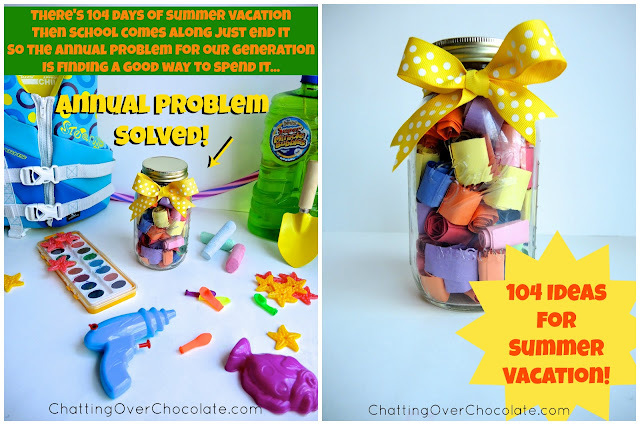 This week the girls and I created a SUMMER FUN jar! Have you had the chance to check it out yet? If not click HERE for 104 Ideas for SUMMER FUN! 3. 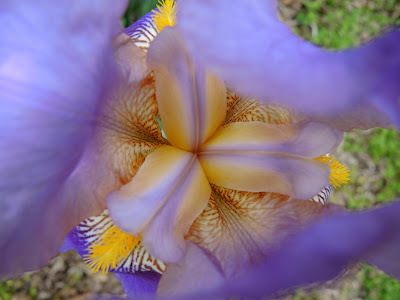 My Irises are blooming! So gorgeous! 4. 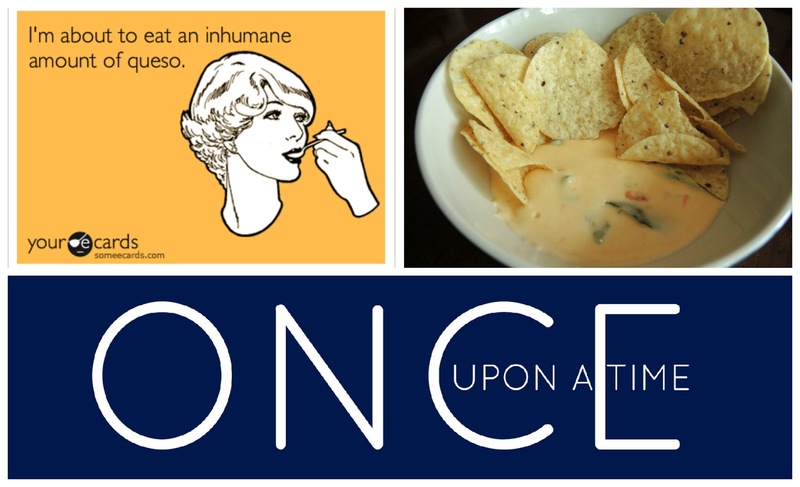 Queso + Once Upon a Time = Delicious Drama! Before beginning my challenge, my sweet hubby made a crockpot full of delicious queso dip for us to snack on while watching the season finale of Once Upon a Time. SO GOOD! Before wrapping up Five Loves, I'd like to wish my aunt and uncle a HAPPY ANNIVERSARY today! They'll be celebrating at Magic Kingdom's Monstrous Summer 24-Hour 'All-Nighter'! (SO EXCITING!) Love you both dearly, and wish you a magical night to remember! Happy Friday, lovelies! Hope you all enjoy a fabulous Memorial Day weekend! Hi, Brenda! 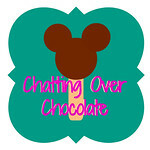 Just stopping by from the link up. Your family looks like you have so much fun! And I could eat my weight in queso, too. Have a great day!